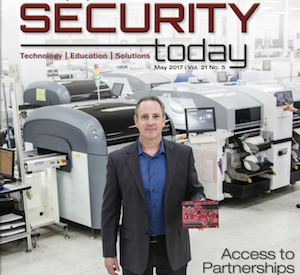 In the May 2017 issue of publication Security Today, Matt Barnette discusses the importance of partnerships in the access control market. For 25 years, Mercury Security has been building products that are only sold through partners. The core technology designed, developed and manufactured by Mercury Security – access control panels, firmware and the software that drives them – is accentuated and brought to market by Mercury partners to help customers solve problems. We believe access control is the backbone of any security plan. A good access control system provides the most fundamental security need; the ability to lock and monitor a facility, protecting a customer’s people, assets and intellectual property. Read the Security Today article in its entirety here.